Results - TAY Has Spoken! Recently, I asked you fine people at TAY to help me choose a current gen console, and the results are in! With 11 votes, the Nintendo Switch got 55% of the overall votes. This is more or less what I expected, and I am happy with the results. My Switch arrives today, with a copy of Mario Odyssey - I am super excited for that Nintendo goodness! 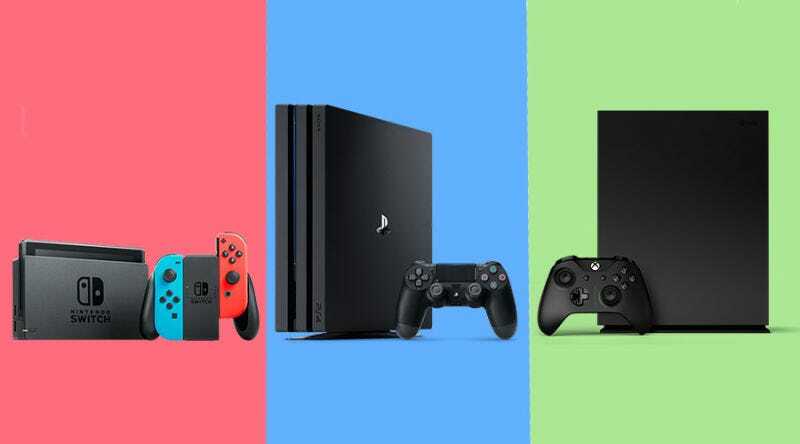 Firstly, I’d like to thank everyone for participating, there were some great arguments for all 3 consoles, but ultimately I think there are more reasons to buy a Switch than any other console right now. Secondly, I’d appreciate some discussion around which games I need to play next, so feel free to weigh in below and tell me about your favourite Switch titles!